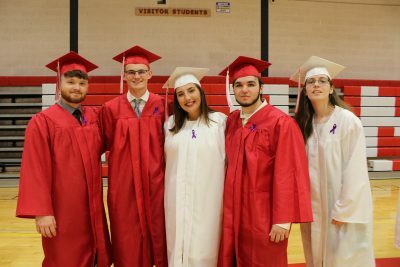 The Neshannock High School auditorium was overflowing with friends, family, faculty, and thirteen years of memories on the evening of June 5, 2018, for 59th annual commencement ceremony. 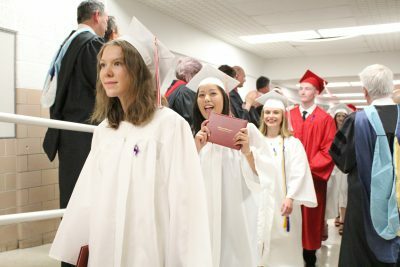 The Neshannock Band played the traditional Pomp and Circumstance (Sir Edward Elgar) as our 106 graduates processed down the aisles of the auditorium. High School Principal, Mr. Luca Passarelli, welcomed the guests of honor and all in attendance to the memorable evening prior to introducing the distinguished alumnus, Dr. Richard Silverman, Class of 1977, who provided the alumni address. Dr. Silverman, son of Lee and Judy Silverman, serves as an assistant professor of surgery at the University of Massachusetts, in addition to maintaining a private practice in plastic and reconstructive surgery. Despite the demands of his schedule, Rick continues to give extensive hours of his time to underserved individuals across the globe. Dr. Silverman is an active alumni volunteer for Dartmouth College, having served as the President of the Dartmouth Alumni Council. In 2009, he was honored with the Dartmouth Alumni Distinguished Service Award. Dr. Silverman delivered words of wisdom based on his own life experiences and the parallels to Dr. Seuss’ Oh, The Place You’ll Go! 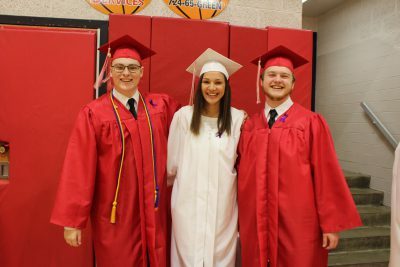 Following Dr. Silverman’s address of the graduates, Salutatorian, Brandon Acosta, and Valedictorian, Rebecca Parry, engaged the Class of 2018 with personalized messages, a walk down memory lane, and hopes for future successes. 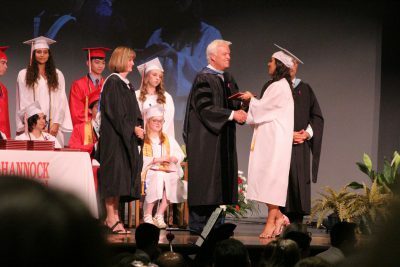 District Superintendent, Dr. Terence P. Meehan, offered the graduates congratulatory words and expressed the honor of being the newest members of the distinguished Lancer alumni community prior to accepting the class and certifying their graduation. Following the conferring of their diplomas, the graduates ceremoniously shifted their tassels to signify their status as alumni. The audience and alumni were then treated to a “Look Back Through Time” media presentation assembled by Mr. Tom Wizen and the multimedia classes. 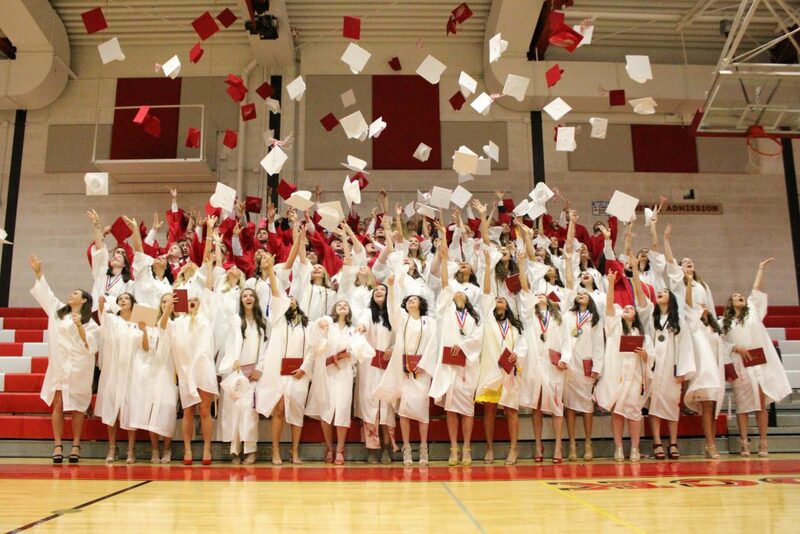 The celebration continued in the high school gymnasium where the graduates tossed their caps high into the air! Then, per new tradition, an all-alumni photograph was taken. It was inspirational to see so many generations of Lancers in one photograph! Many hands worked together to honor our graduates. Special thanks to the Board of Education, Miss Kimberly Heim and Mrs. Darci Wise (Faculty of the Music Department), Mr. Joseph Thomas (Student Activities Director), Mrs. Brenda DeVincentis (Sr. High Guidance Counselor), Mr. Justin DiMuccio (Business Manager), Mr. Jason Williams (Food Service), Mr. Mark Ulam (Director of Building and Grounds), Mrs. Tracey Romano, and Ms. Leslie Janaszek, who coordinated the letters from the faculty to our graduates.